Insurance Policy Pays: Two Winners Ace Same Hole! You may recall last month when Hole In One International paid out two prizes to one winner during the same tournament. This time, we’re paying out again with prizes for two separate winners! That’s right: two hole in one prize winners made aces during the same tournament… on the same hole! Jeffrey McCormick and Gary Monty were both awarded a 32″ Panasonic LCD TV for their hole in ones on June 14th, compliments of Hole In One International. McCormick and Monty were playing in the Positive Impact Golf Tournament at Brentwood Country Club in Beaumont, Tex, and when both played the 3rd hole (a 177-yard par 3 ), both of them aced it. While the big prize out on the course that day was a $10,000 cash prize on hole 15, thanks to Hole In One International’s auxiliary prizes, it was still a win/win situation — for both winners and the tournament organizers! Wouldn’t it be nice to boast and brag about how your golf tournament had multiple winners? Shoot us an email or give us a call at 800-827-2449… because as Jeffrey McCormick and Gary Monty have clearly shown, it’s definitely possible! 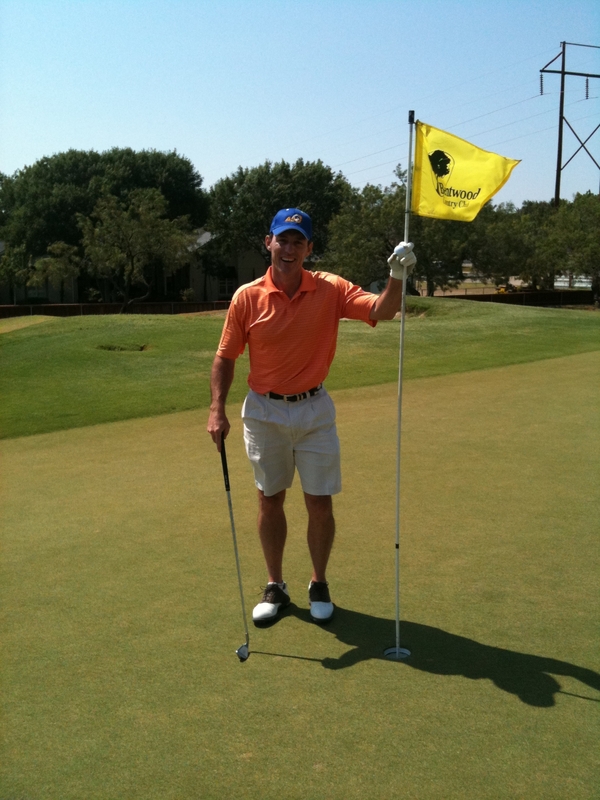 Home » Blog » Insurance Policy Pays: Two Winners Ace Same Hole!